Twelve months of spending most evenings and weekends in my man cave have come to an end. 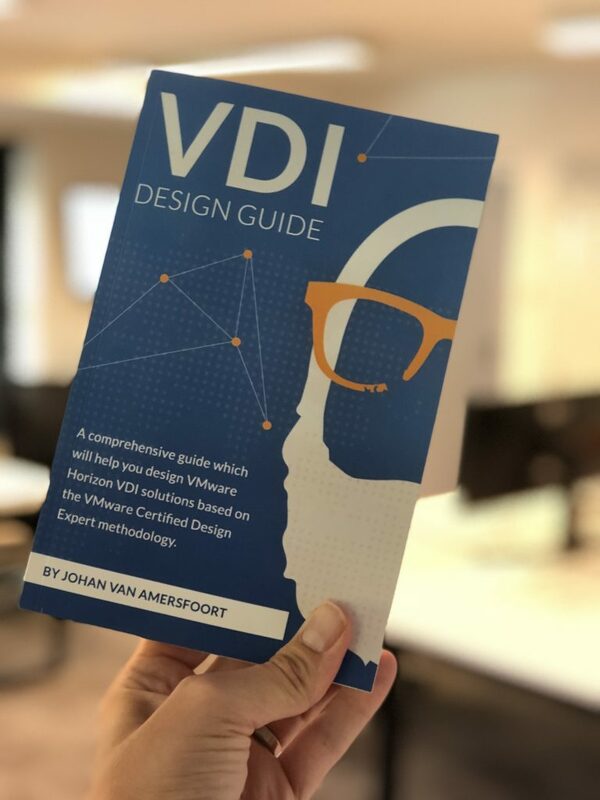 Since today, the VDI Design Guide is available at the Amazon bookstore! About a year ago, I started my journey to make one of my dreams for the past couple of years come true: become an author. While being at the VMworld conference 2017 in Las Vegas, the first foundation was made. 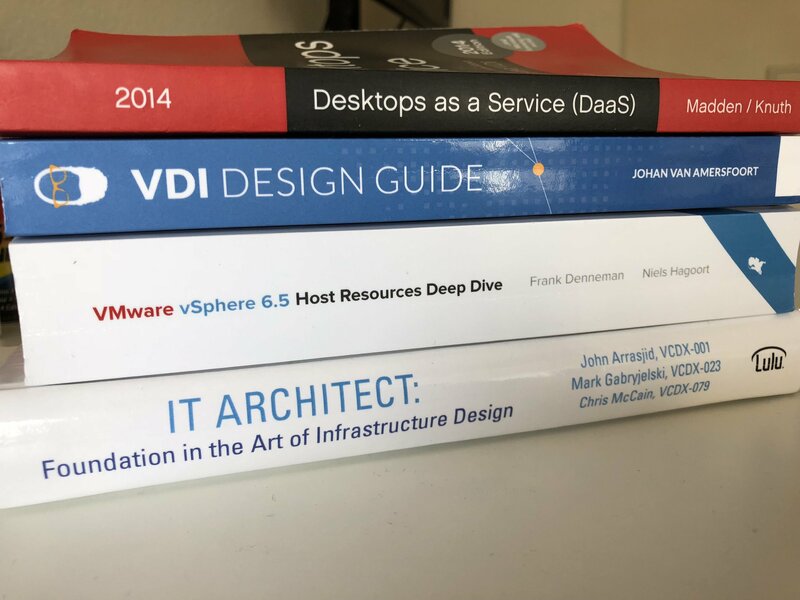 The idea of writing a design guide for Horizon-based VDI solutions came from my personal VCDX journey. In the time that I spent designing, applying, preparing and defending my project, I gathered a lot of information that was either not yet publically available or was limited available. That’s exactly where the VDI Design Guide will fill a gap. From top to bottom, it will help you create a business case, set up your design structure and will have some really detailed information on undiscovered territory such as graphical acceleration or NSX use cases for VMware Horizon. Inspired by the way Brian Madden and Gabe Knuth wrote their DaaS book, I wanted to share personal experiences which (to me) are really useful. Those experiences have helped me create a context while reading. In the VDI Design Guide, those experiences are all based on projects or customers I have worked within the past 10 years. Another great feature of the book is the style of diagrams. One of the things I like about my job is to use a whiteboard at customers and explain how stuff works. From that perspective, the idea of creating whiteboard-style diagrams was born. I couldn’t have finished the VDI Design Guide without the help of some of the greatest people. Marco van Baggum and Sean Massey are awesome people who have contributed to this project. Shawn Bass has written the foreword, Fabian Lenz had some really valuable additions to the design framework and Ray Heffer and Tobias Kreidl made sure that it is actually readable I also got a lot of help from the people at NVIDIA and VMware, which was essential to create this comprehensive book. With this book, I hope more people will become inspired to become an architect in the field of VDI. 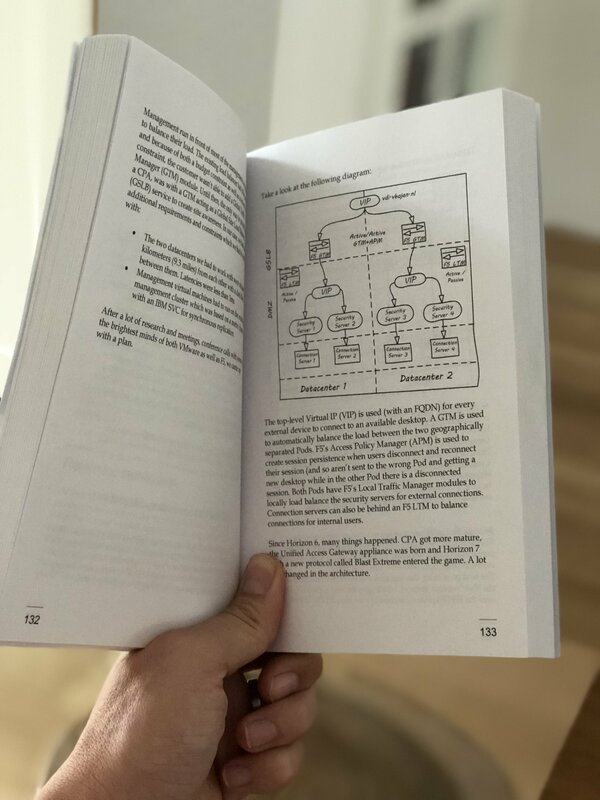 What would be really great, is if this book will take away all that was holding you back to become a VMware Certified Design Expert in the field of Desktop & Mobility (VCDX-DTM). Two years after becoming VCDX-DTM myself, only two more have joined the team (now sixteen in total) which to me is far too few. The post Finally, the waiting is over: the VDI Design Guide is available! appeared first on vHojan.nl.